Is right outside of your window. This is a small portion of the panoramic lake view from the cabin. Includes refrigerator, microwave, and stove. Perfect for a quick snack or a full family meal. 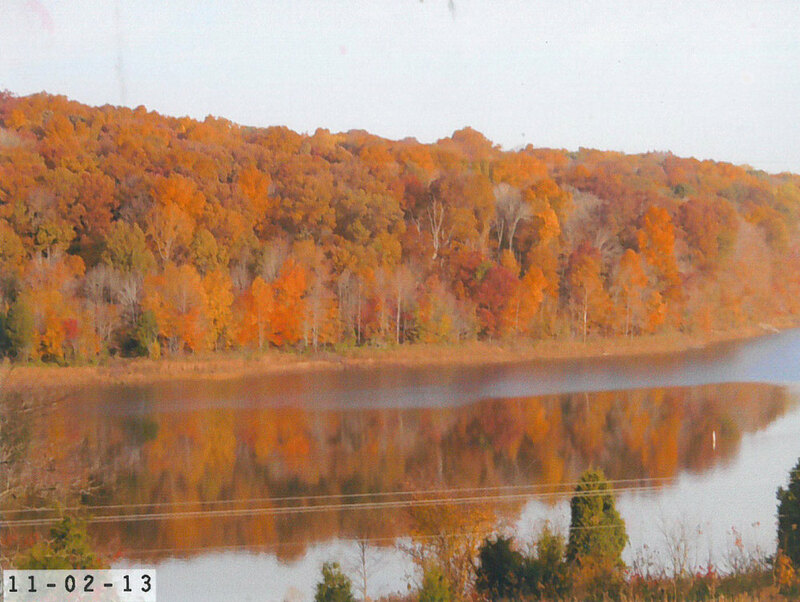 Seats 6 and overlooks scenic Patoka Lake. 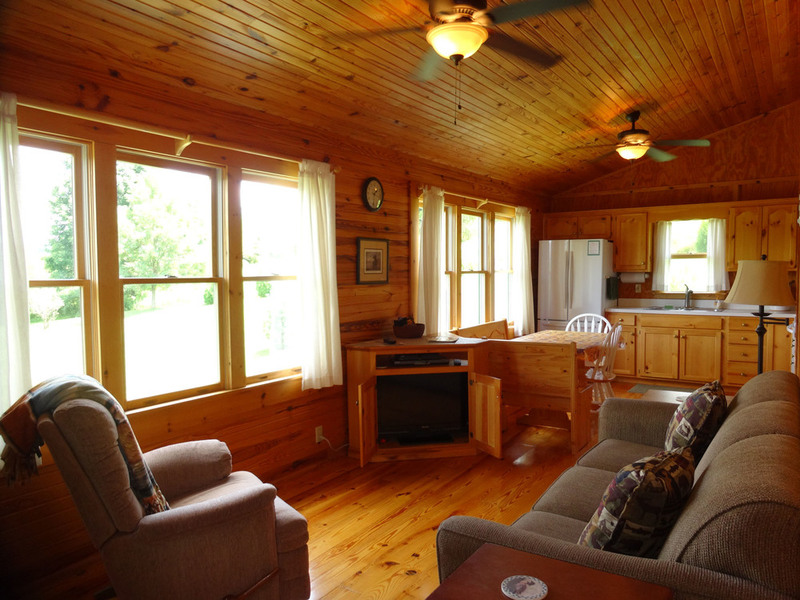 Features rocking chairs and a beautiful view of Patoka Lake. 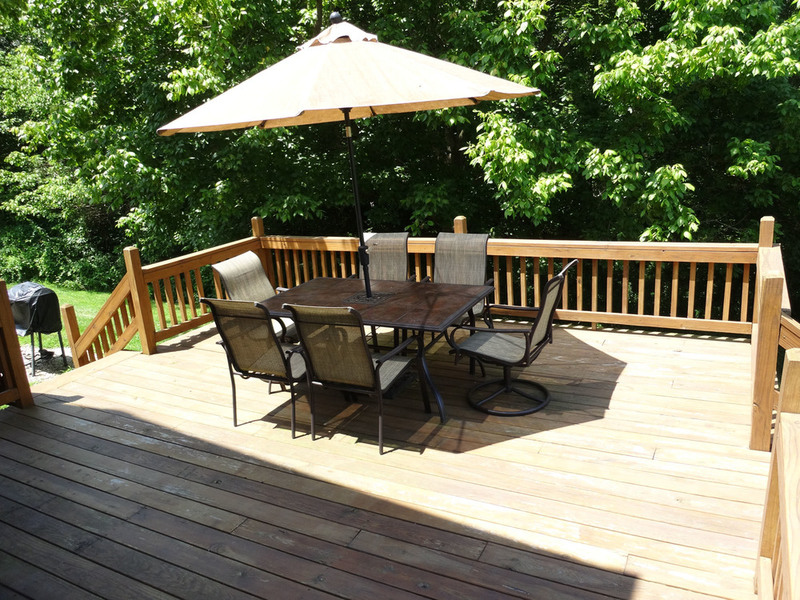 Features a patio table that seats 6 with an umbrella and a charcoal grill. 60 seconds from your cabin by car, 120 seconds by foot! Features a Queen size bed for your sleeping comfort. Walk the shore, do a little fishing and skip some rocks. It's just a minute from the cabin. Opens into dining room and kitchen, note the TV in the cabinet. Features a queen size fold out bed, a flat screen TV, and a DVD player. This could be your boat launching. The dock is just 2 minutes from the cabin's back door. Features two twin beds plus TV with satellite. 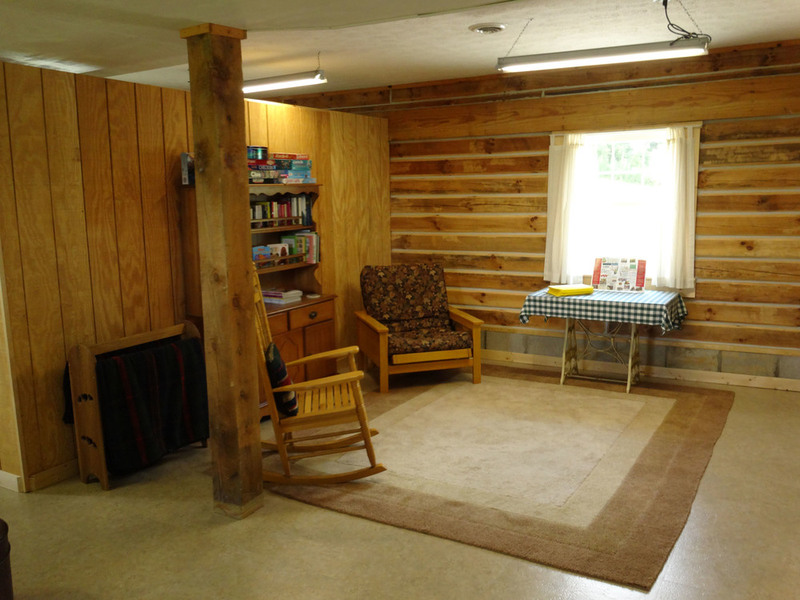 Includes a sitting area and collection of games, books and visitor information. The view is still beautiful in winter. 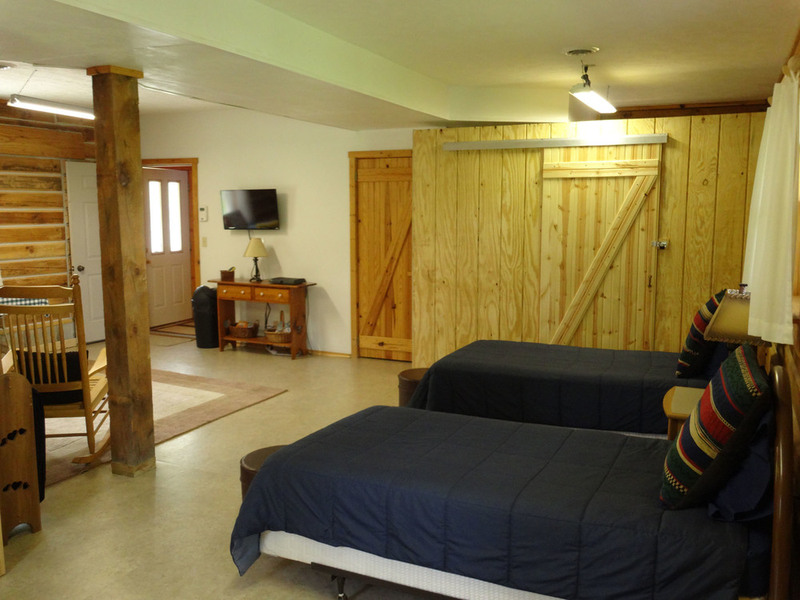 Cabin is located only a few hundred feet off a state highway, wintertime access is rarely an issue. 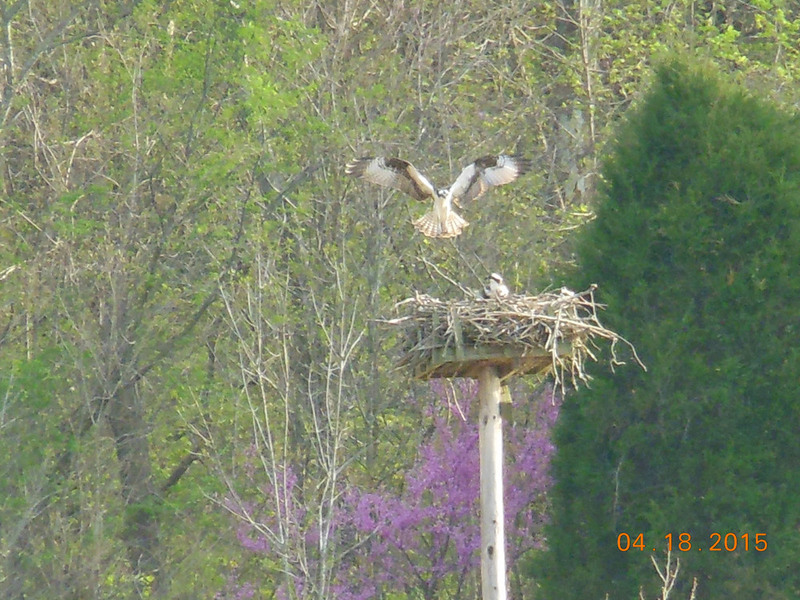 An osprey nest is located near the cabin on the edge of the lake. The fall view can make you just sit in awe of nature's wonder. 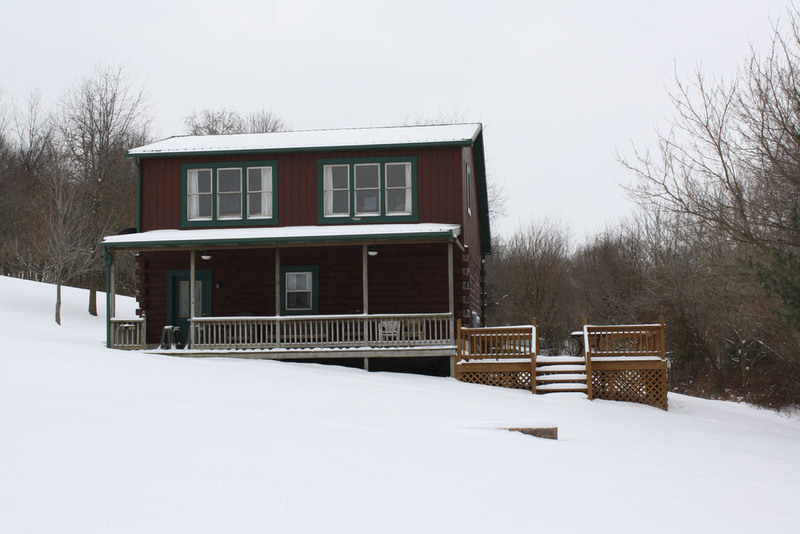 Patoka's Overlook Cabin, located about 300 feet from Patoka Lake, sleeps up to 4 people and is fully furnished and equipped for families, couples and fishermen alike. 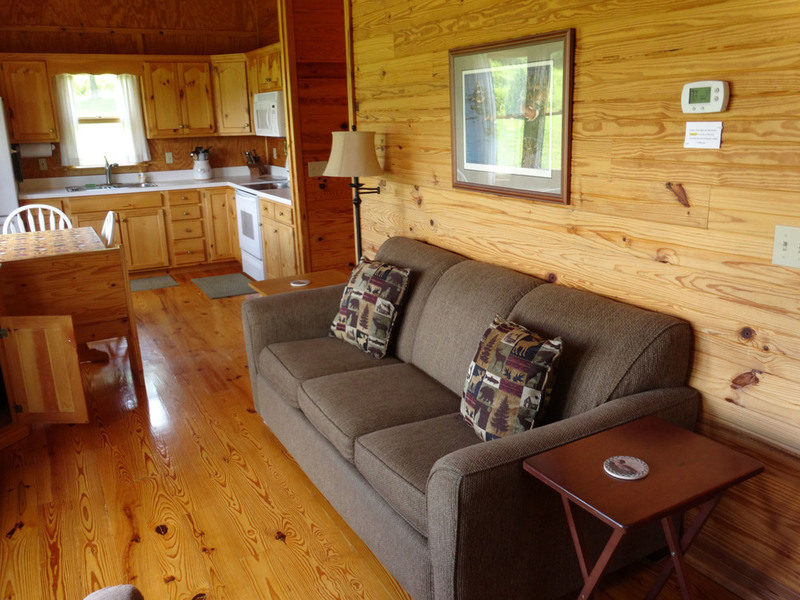 Our cabin features include central heat and AC, 2 satellite TVs, modern kitchen and bathroom, a covered porch, a patio, a lush lawn, and a campfire pit. Our cabin is located 2 minutes from the South Lick Fork Boat ramp on the Southwestern side of Patoka Lake in far Eastern Dubois County along Indiana Highway 164 between the towns of Celestine and Wickliffe. 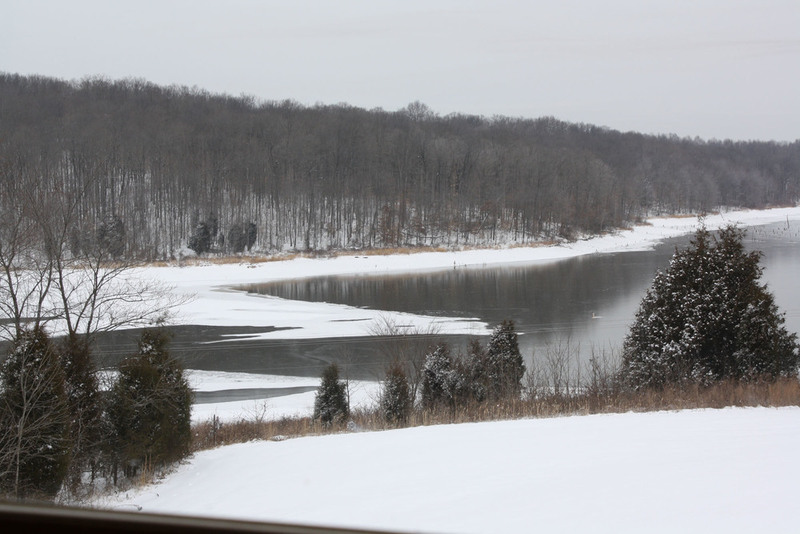 Patoka’s Overlook Cabin offers a rustic flavor with modern comforts. The exterior is log construction while the upper level interior is tongue and groove wood. The entire upper floor offers an expanse of windows positioned to optimize the spectacular view of the lake. The sleeping arrangements include a master bedroom with a queen size bed and the entry level living area includes two twin beds. The spacious bathroom is located across the hall from the master bedroom. Even with all these wonderful amenities, it’s the spectacular view of Patoka Lake that keeps bringing vacationers, like you, back. Come treat yourself and your family to what will soon become your favorite getaway. Stay and relax or spend the day enjoying all the adventures that the Patoka Lake Area has to offer. This tranquil and private setting provides the perfect getaway for all your vacation plans.